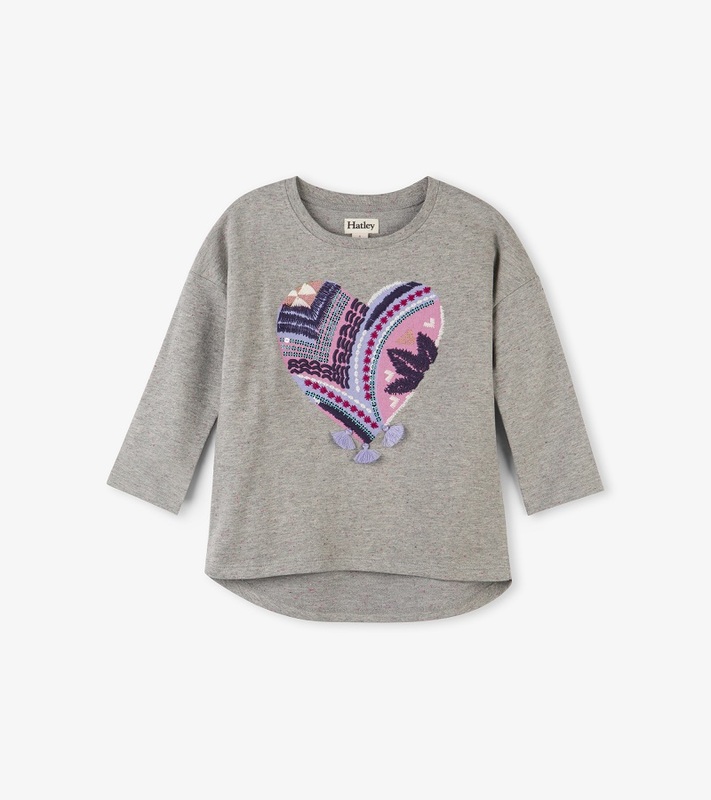 This fun applique heart pullover top features a fun mosaic of colors with a touch of sequins for added sparkle! Little pom poms sit on the bottom of the heart. This cute girl top features 3/4 length sleeves and a hi-lo cut. Pair with our Pretty Rainbow Leggings, Striped Leggings, or Metallic Heart Leggings and our Glitter Cardigan for a complete outfit. Made of 100% cotton; machine wash cold, tumble dry low by Hatley.